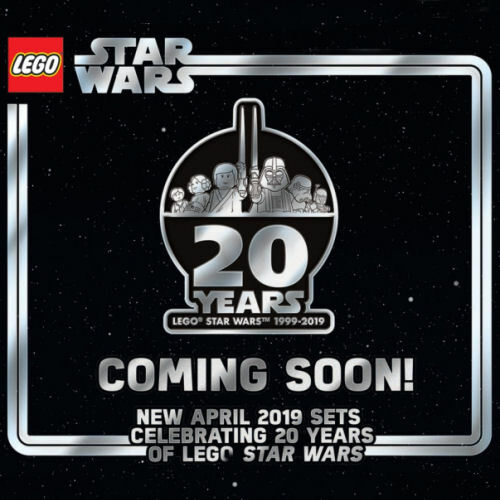 While the twentieth anniversary of the first LEGO Star Wars sets might not garner the worldwide attention and ticker-tape parades we know it deserves, LEGO is still going to mark the occasion - in a small way. And that small way, reports Stone Wars, is through a series of limited edition minifigs that will be included in five selected sets. Intel suggests that each minifig will have the original yellow skin tone (with the exception of the Lando Calrissian and Darth Vader minifigs) that they were initially introduced in. 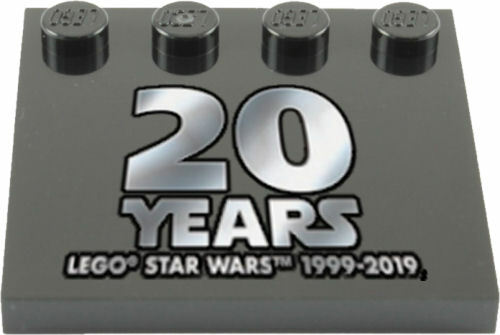 According to sources, in order to differentiate them from their original counterparts, they will have a special "20 Years - LEGO Star Wars 1999-2019" printed on the back of the torso piece. Additionally, it is expected, that they will include a gold-coloured blaster and a display tile to stand on. Remember that none of this has been verified by official sources and until it does it could just be purple monkey dishwasher. For those expecting to something more reflective of the basic and rudimentary set designs of the early years of the LEGO Star Wars line, why not have a look at the latest LEGO Star Wars 4+ sets which includes three iconic, simple-to-assemble spacecraft that are great introductory sets.